Walnut Creek, CA, February 08, 2018 --(PR.com)-- Altera Design & Remodeling, a Walnut Creek, CA based design and remodeling firm has won 6 Prestigious design awards in two separate residential remodeling competitions. Once a year, the National Association of the Remodeling Industry (NARI) coordinates a residential and commercial design award competition by region of the country across 35 categories. Walnut Creek-based Altera Design & Remodeling was awarded with two prestigious regional awards. Altera Design was awarded the Regional winner in the category of Residential Kitchen (between $100,000 and $150,000). Altera Design was also awarded the Regional winner in the category of Residential Bath ($50,000-$75,000). 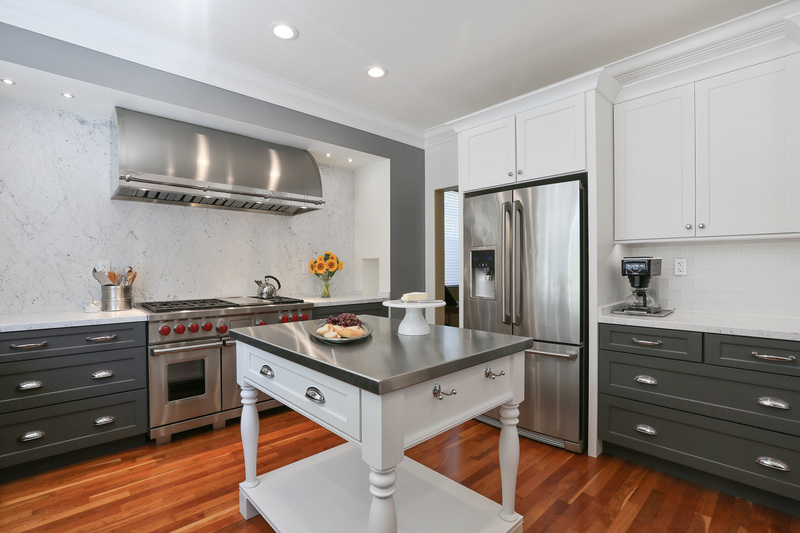 Altera Design & Remodeling was also awarded four prestigious design awards among professional remodelers run by the National Kitchen and Bath Association (Northern California chapter). Each year dozens of design and remodeling companies submit their best projects across 28 categories. 2017 NKBA Northern California Design Competition winners were announced at the Design Competition Awards Gala held on November 15, 2017. Altera Design & Remodeling was awarded first place recognition in the Large Kitchen category and in the Medium Kitchen category (A). They were also awarded with third place recognitions in the Medium Kitchen (Small/Medium) category and in the Medium Kitchen (Large/Medium) category. “It’s great to see the hard work of our designers, craftsmen, and entire team be recognized,” said President of Altera Design & Remodeling, Jim Vivrette. “We strive to create an environment that fosters inspiration and creativity in all our projects. Our experienced and creative designers simply listen to the client’s needs and respond with designs, material selections, and solutions that meet their needs. We are proud of their commitment to always place the client first; the recognition of great design is just a bonus,” adds Vivrette. Altera Design & Remodeling has served the Walnut Creek, CA and surrounding areas since 1986, providing kitchen and bathroom remodeling. They have a 2,000 sq. ft. showroom located on 1079 Boulevard Way in Walnut Creek, CA 94595. Altera Design President; Jim Vivrette, has built an enduring tradition of design, quality craftsmanship, attention to detail, and exceptional customer service in the area and industry. Vivrette and his team have won numerous awards for their work, including dozens of NARI CotY, NARI Remmies, NKBA Design Awards as well as Houzz service awards, and a Diamond Certification. For more information about Altera Design & Remodeling visit www.AlteraDesign.com, or call 925-938-1100. One of the 6 Altera Design & Remodeling projects recognized by a panel of industry judges for outstanding design and quality craftsmanship.